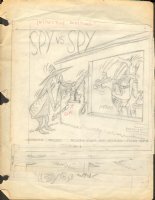 Antonio Prohías, born in Cienfuegos, Cuba, was a cartoonist most famous for creating the comic strip Spy vs. Spy for MAD Magazine. 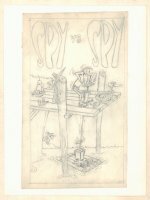 In 1946, Prohías was given the Juan Gualberto Gómez award, recognizing him as the foremost cartoonist in Cuba. By the late 1940s, Prohías had begun working at El Mundo, the most important newspaper in Cuba. In January 1959, Prohías was the president of the Cuban Cartoonists Association; after Fidel Castro seized power, he personally honored the cartoonist for his anti-Batista political cartoons. But Prohías soon soured on Castro's policies. When he drew cartoons to this effect, he was dismissed by his newspapers, which had been taken over by Fidel Castro's government. With his professional career in limbo, Prohías left Cuba for New York on May 1, 1960. Ten weeks later, he had sold his first work to Mad.